The exact time period when Prophet Saleh (also spelled “Salih”) preached is unknown. It is believed that he came approximately 200 years after Prophet Hud. The carved stone buildings which form much of the archaeological site in Saudi Arabia (see below) date to approximately 100 B.C. to 100 A.D. Other sources place Saleh’s story closer to 500 B.C. Saleh and his people lived in an area known as Al-Hajr, which was located along the trade route from southern Arabia to Syria. The city of “Madain Saleh,” several hundred kilometers north of Madinah in modern-day Saudi Arabia, is named for him and is reported to be the location of the city in which he lived and preached. The archaeological site there consists of habitations carved into stone cliffs, in the same Nabataean style as in Petra, Jordan. Saleh was sent to an Arab tribe called Thamud, who were related to and successors of another Arab tribe known as ‘Ad. The Thamud were also reported to be descendants of the Prophet Nuh (Noah). They were vain people who took great pride in their fertile farmland and grand architecture. Prophet Saleh tried to call his people to the worship of One God, to Whom they should give thanks for all their bounties. He called upon the rich to stop oppressing the poor, and for an end to all mischief and evil. While some people accepted Saleh, others demanded that he perform a miracle in order to prove his Prophethood. They challenged him to produce for them a camel out of the nearby rocks. Saleh prayed and the miracle took place by Allah’s permission. The camel appeared, lived among them, and gave birth to a calf. Some people thus believed in Saleh’s prophethood, while others continued to reject him. Eventually a group among them plotted to attack and kill the camel, and dared Saleh to have God punish them for it. The people were later destroyed by an earthquake or volcanic eruption. To the Thamud people was sent Saleh, one of their own brethren. He said, “Oh my people! 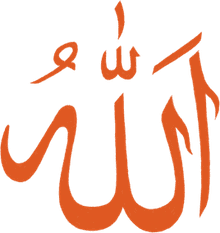 Worship Allah; there is no other god but Him. Now comes to you a clear sign from your Lord! This camel is a sign for you, so leave her to graze in Allah’s earth, and let her come to no harm, or you will be seized with a horrible punishment. So the earthquake took them unaware, and they lay prostrate in their homes in the morning. The life of the Prophet Saleh is also described in other passages of the Quran: 11:61-68, 26:141-159, and 27:45-53.